Mark and I have been diving into our Rincon del Diablo! This full-bodied GSM (Syrah being the predominant varietal) offers aromatics of sweet damp earth, macerated dark berries, peppercorns, allspice, blackberries, saucisson, sweet clove and cigar box. On the palate, dark blackberry, blueberry, anise and concentrated fruit. For our über simple Sunday dinner, we grab two petit filets and grill at high heat. We top with a slice of Cowgirl Creamery blue cheese and serve side dishes of sautéed mushrooms, roasted green beens – so easy and the beans come out all shriveled and caramelized and mashed potatoes. Mark absolutely loves mashed potatoes and, in his mind, a perfect accompaniment! What are you drinking right now? 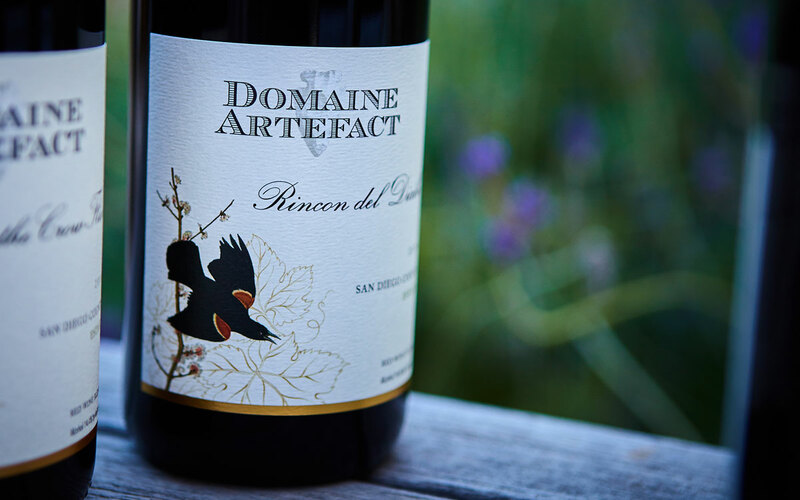 Share your favorite Domaine Artefact wine/food pairings and we will share with everyone! We are always excited to learn about favorite DA wine/food pairings! RDD is a full-bodied GSM (Syrah being the predominant varietal). This wine offers aromatics of sweet damp earth, macerated dark berries, peppercorns, allspice, blackberries, saucisson, sweet clove and cigar box. On the palate, dark blackberry, blueberry, anise and concentrated fruit. This wine is well balanced, with a lingering finish of spices and leather.